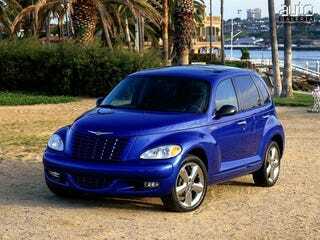 Welcome everyone to the PT Cruiser GT. A turbocharged model of an otherwise forgotten body style the GT produced between 215 and 230hp. The model lasted between 2003 and 2007 and was available with a five speed manual transmission. Something tells me this would be an overlooked fun hot hatch. With the same engine as a Neon SRT-4 and the same chassis the Cruiser GT should have a wealth of aftermarket parts to make it more fun and exciting that it already would have been from the factory.